Our main focus at Horse Tack Now is top quality Horse Tack products. We proudly offer quality horse tack items including Horse Halters. This predominantly leather halter features cheeks made from checkered nylon webbing. The halter is available with a matching horse lead. 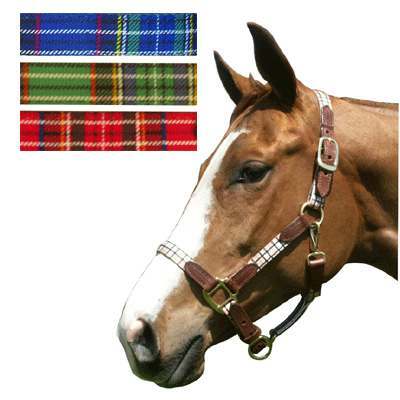 The highland halter features an adjustable chin and snap at the throat and is complimented by solid brass tack. These highland halters are designed to last for numerous years to come.